The past few months have been…interesting. Between both expected and unexpected health issues, work on the “train warehouse” and other life non-events, time to watch or photograph trains has been rare. I have gotten out a few times, but only enough to retain my sanity. In the meantime, I’ve spent a little time here and there editing shots both recent and otherwise and I thought I’d take a few minutes and share a couple. 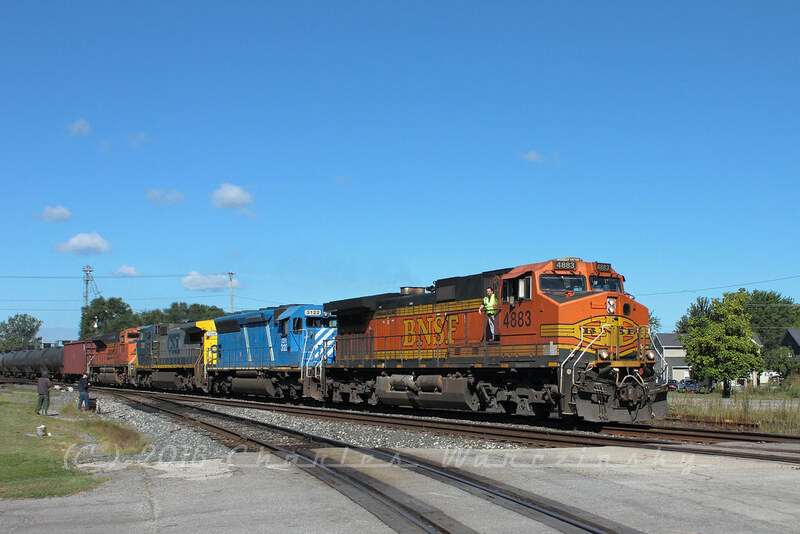 First is this shot from the 2015 Railroadfan.com Fall Meet in Deshler, Ohio. BNSF 4883 leads an eastbound tank train toward the plant in downtown Deshler, Ohio, on a sunny September Sunday. 13 September 2015. 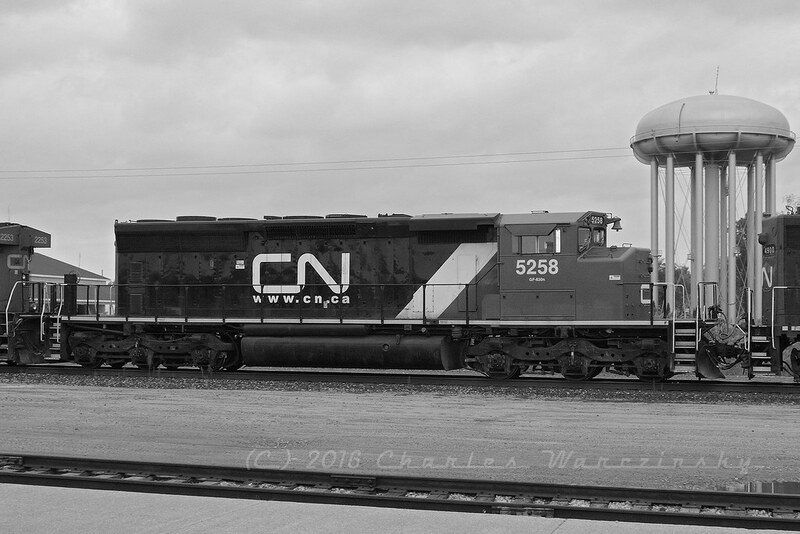 Next, an unexpected late October catch in Port Huron, CN 5258 wears a fairly fresh looking CN paint job with CN’s web address below the logo. 29 October 2016. I drive through the parking lot at the Port Huron & Detroit Railroad Historical Society’s office complex every couple weeks or so, as one more set of eyes to make sure there aren’t any problems when nothing’s going on. Other than the peeping Bruce I ran into several weeks ago, it’s mostly been an opportunity to see firsthand what progress is being made on the projects the Society is working on. And it’s been pretty cool, for the most part. 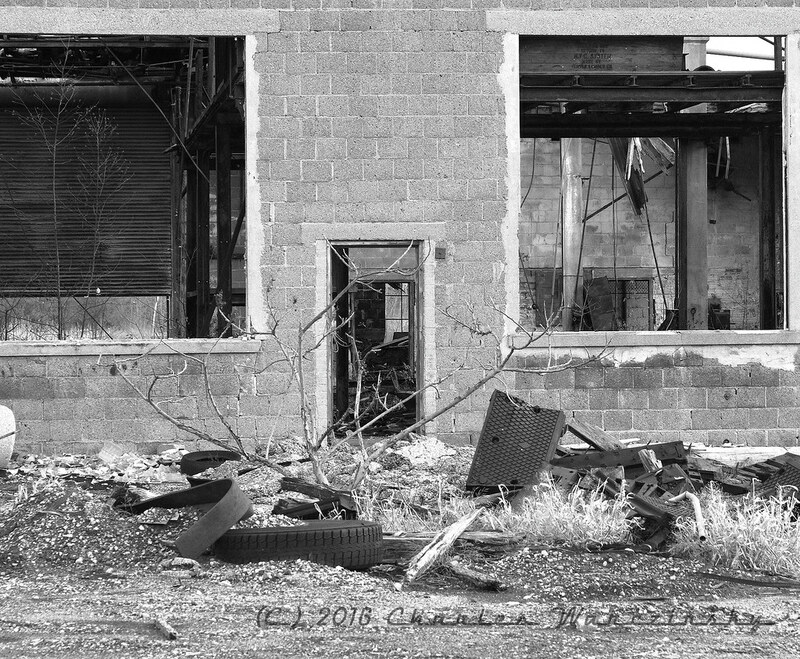 On the other hand, the CSX-owned roundhouse that shares the triangle-shaped parcel of land in the middle of the wye that forms the north end of CSX’s PH&D Industrial Subdivision is continuing to deteriorate. On my last circle through the parking lot, I found that the view through the building is becoming steadily less obstructed. No trains were moving, but if they were, you could probably use the building as a photo prop to add interest to the steady parade of CN red/black/white painted diesels moving behind the roundhouse. On that note, if you’re a member of the PH&D RRHS, the Holiday party is tomorrow (December 11, 2016) at the Dorsey House Bar & Grille. Among other things, we’ll listen to a presentation by Jeff Mast about the 62 and participate in a railroad memorabilia auction to raise money for the Society and likely the upcoming relocation of #52 to the waiting display track at the PH&D RRHS office building. If I don’t see you at the party tomorrow, have a Merry Christmas and a Happy New Year!